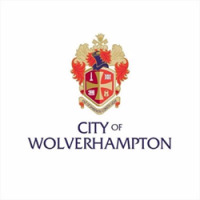 City of Wolverhampton and 1 other organisation could help to bring your project idea to life. Create a project on Spacehive to be matched to relevant funds. We are interested in funding a range of projects that contibute to the city! Projects must contibute to improving places, spaces or residents' quality of life. Projects must have already raised at least 50% of the funding through crowdfunding. The council can provide up to 10% of the total project costs in the first instance. The council would support those projects which make a significant contribution to the delivery of the corporate plan, deliver skills and or contribute to efficiency outcomes. The council would like to support projects which make a significant contribution to the delivery of the corporate plan, deliver skills and/or efficiency outcomes. Before starting fundraising, consider the length of your campaign. Decisions about pledges will be made when you hit 50% of your crowdfunding target. Initially the fund will pledge no more than 20% of your target. Continue fundraising, hit your target and deliver your project! Crowdfund Wolves will be running a funding round to help you turn your idea into a reality. Participating in the funding round will enhance awareness locally of your crowdfunding project and increase the likelihood of support from the crowd. Complete our expression of interest form at your earliest convenience to inform us of your project idea and knowledge of crowdfunding. A member of the team will be in touch to provide you with the necessary information and support you may need to help get your project started. To enable the team to help with any queries you may have and to ensure you can get your project page developed, the earlier you are able to express your interest in running a project the better! Create your online project page and you will automatically be matched to Crowdfund Wolves. Remember your page is the place to showcase your project to attract potential pledges. Ask for support and feedback to make your page the best it can be! Projects that would like to be included in this funding round must have their online page completed by Tuesday 19 March. The costs and necessary permissions on your page will be verified by an independent verifier, Locality, to enable you to begin campaigning shortly afterwards. 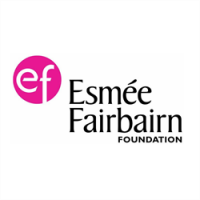 Run your crowdfunding campaign between March and June to be considered in this funding round by the Council and other funders for a possible pledge. Ensure your campaign has sufficient length to attract support from the crowd to meet your target. We will consider pledging to projects which, in addition to meeting our funding criteria, demonstrate that there is community backing. So you must begin your crowdfunding campaign and attract as many individual backers as possible. We recommend that backers include their postcode (which they can do when they make their pledge) as that will tell us that this is a project that people want to see happen locally, in their community. We want to fund work that brings communities together and has a lasting impact on the local area and local people. We are open-minded about the type of projects that pitch to our fund but we need to see genuine support and demand from the community. This can be demonstrated in number of pledges made, support on the project page, social media or the number of people engaged in the project. We are particularly interested in supporting projects from less affluent communities where the project helps to provide spaces and opportunities for the community to come together. Examples could be opportunities to develop new skills, improve well-being, increase green space, engage with arts and culture or for different groups in the community to meet (such as older and younger people). New friendships blossom, more vibrant places for people to meet and live, a greater sense of local pride, more connections between people, less isolation, people feel safer and more supported, people feel their voices are heard. 1)	Explain clearly how your project will have a long-lasting impact in the community after the project has been delivered. For example, will members of the community have more opportunities to engage with arts and culture beyond the duration of the project? 2)	Explain how your project will have a positive impact on members of the community not directly involved in the project. For example, if new skills are developed will they be shared with other extended members of the community?